I decided to do a fun Halloween countdown with my daughter (read more about it HERE). While we aren’t starting quite yet, I wanted to compile all my ideas by October 18th so I am ready to go. Each day has it’s own Halloween theme. Enjoy! 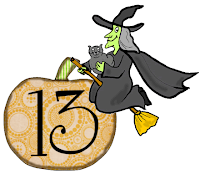 Our first theme for our 13 day countdown is witches. 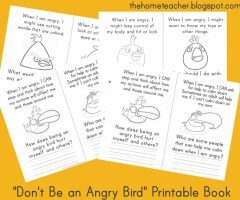 Here are some of the fun ideas I have found (sorted by category). And while I will only have time to do two or three of these ideas, I wanted to include everything I found that was noteworthy. Many of these were found on Pinterest (i just LOVE this site!) some are on my wiki, and some I have found through google searches. Room on the Broom (My Boo’s favorite Halloween story! It comes highly recommended from me!) 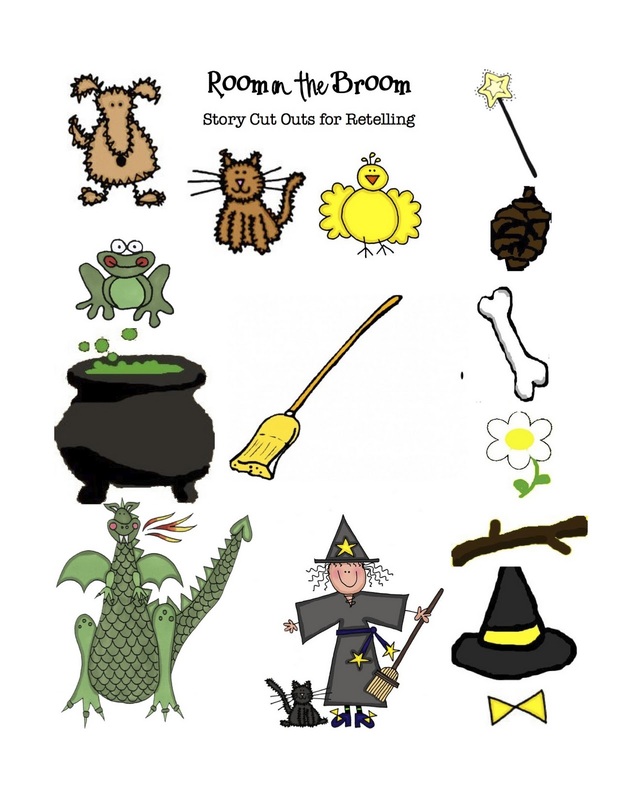 Use story cut outs as you are telling the story, or as a fun retelling activity. Have your kiddos make a Book of Brews by coming up with unique witch spells and writing the ingredients and directions. Another variation of this book would be to have your kids write different recipes such as Spider Stew, Bat Burgers, and French Fried Frogs. 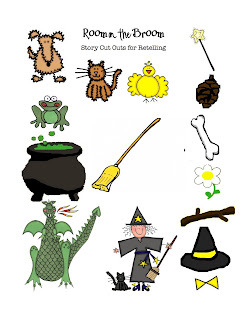 Making Learning Fun has a whole bunch of learning activities that go with the Two Little Witches Halloween story. They have magnet pages, color by number pages, letter tile pages, and MORE! 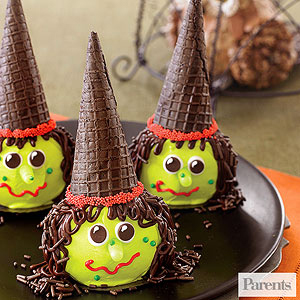 The Food Chics came up with this yummy witch sandwich… it is almost too cute to eat! 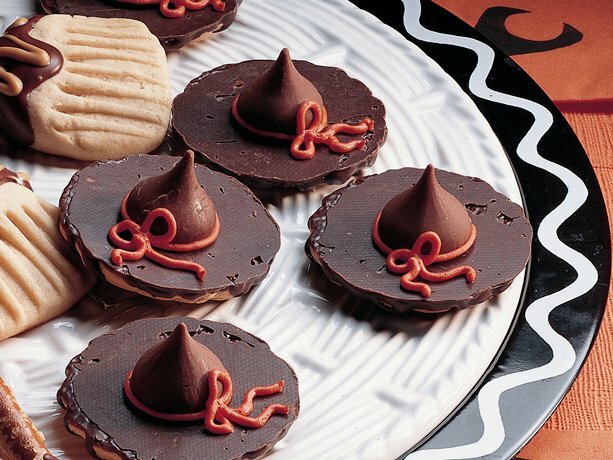 Betty Crocker posted a simple witch hat cookie recipe. 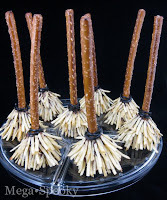 Witch fingers from A Fridge Full of Food… seems like an easy enough recipe! Cute cupcakes from Parents… they look a little too complicated for me, but darling nonetheless! 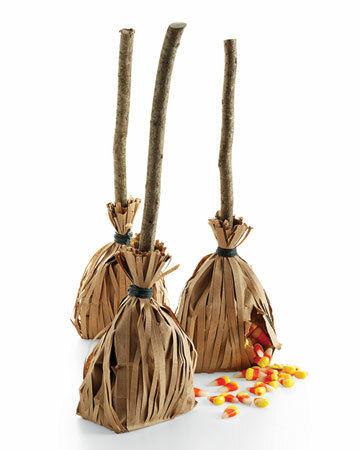 You can buy this darling witch bag kit from Pebbles in my Pocket, but I don’t think it would be too hard to make with scrap paper. 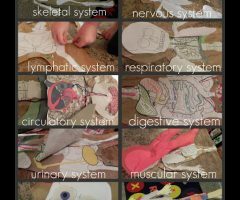 Witch puppet- have kids make puppet and create their own Halloween puppet show! 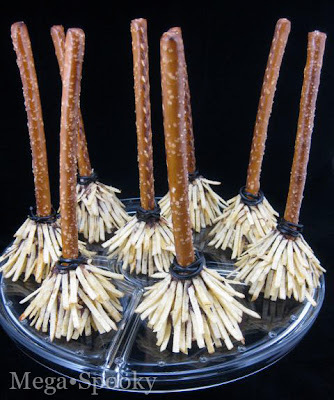 DLTK has a bunch of witch crafts that are great for kids! SUPER cute Wanda the Witch game from Prepared Not Scared. It is similar to Pin the Tail on the Donkey… but perfect for Halloween! 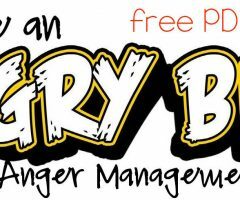 Visit the site for the free pdf download. Tip Junkie posted a Witch Pitch game using leftover candy corn, a foam board, and mini cauldrons (very cute but I think little tupperware containers would still do the trick). Witch and Broom Relay and Witch Seat? large group games from Associated Content. 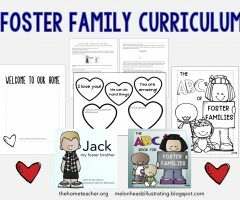 These were all found at Kid’n’Kaboodle– and they have a whole lot more! How cute are the witch feet on this table! Check out Bubblegum and Duct Tape for more terrifying tablescapes. 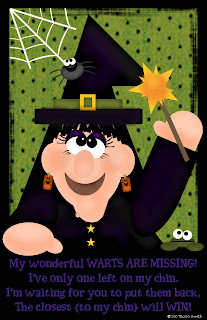 This entry was posted in celebrations, countdown to Halloween, Halloween on September 29, 2011 by ktoponce. I was just wondering if you could post everything at once. I am a SAHM and do not have a car and was planning on going on Saturday with my husband to get the items needed for our month long countdown. I love what you have come up with! Wow! What a wonderful, fun unit! Thank you so much for sharing and for making this available! Wow! This is awesome! Thanks SO much for sharing!! These are such great ideas! We’ve included a link to your site on our page of BEST HALLOWEEN KIDS BOOKS, since we love the great activity to go along with Room on the Broom!